Having been in the cigar retail business for many years, we decided it was time to create our own brand, and we weren't happy until we found a blend that we were 100% satisfied with, believe us, it's a lot harder than you may think! We are were amazed that there are no other cigars on the market produced using 100% Peruvian filler/wrapper/binder tobacco, so we had nothing to compare these to, but I'm sure once you try them, you'll agree that the flavours are very unique and extremely pleasing. Closer to a Nicaraguan in strength, but a unique full flavour, balanced and smooth with vein free wrapper and exceptionally good construction. The pre light of these cigars is tangy and sweet, the blend is bold, full bodied and full sweet flavoured from the first to the last puff with a delightful bouquet. Medium to full in strength with a good long satisfying finish on the palate. 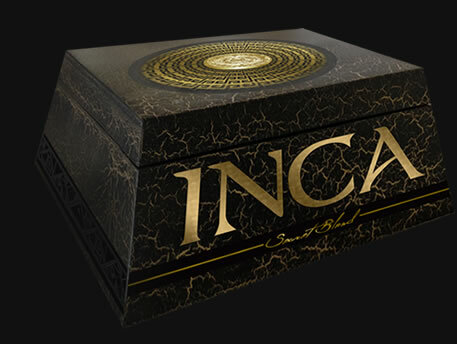 Inca – Secret Blend, A cigar with character and a blend of merit.